These days…content is king. Well if you want to get technical, content has always been king but this is a blog not a lecture so let’s get on with it! Your organization has a conference with top-flight presenters and people that know their subject matter better than anyone else going today. It only makes sense you want an Orlando convention video production company to capture it so you can leverage the content to maximize your investment. So what are some important factors you should be considering prior to your conference in regard to capture? 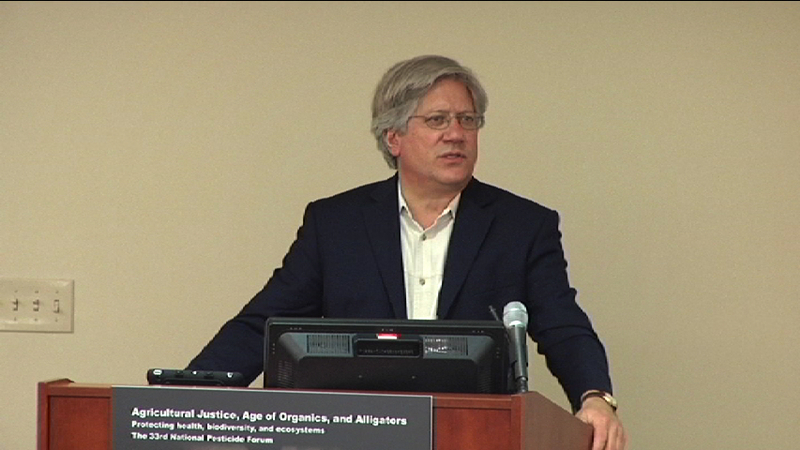 Whitney Media Productions taping Beyond Pesticides 2015 Conference at Florida A&M College of Law in Orlando, Florida. 1. Social Proof – The video production company you’re talking to should have links and references/testimonials to at least two conferences they’ve supported in the past. It’s better to see the video sessions live on the organization’s YouTube channel opposed to just the production company’s website because it’s likely to be more authentic. 2. Site Surveys – It may not always be possible but if a video production company offers to do a site survey prior to the conference that’s a good sign! Especially if the venue isn’t being held in a popular hotel or conference setting. Most production company’s that specialize in breakouts are familiar with a number of the venues in their city but from time to time events are held at smaller venues and hotels. If a video producer is making time to check out the location and ask a manager at the venue about house sound feeds and looking for power then you know that you have someone doing their job. 3. Details and Organization – Capturing breakout rooms isn’t just a means of pointing a camera and pressing record. If you have multiple rooms going at the same time, the company has to have sufficient crew to support the client. Probably the number one detail in shooting breakout rooms is sufficient media storage. Let me explain. Today most cameras are tapeless, the footage is captured on media cards….and not necessarily the little cards you might know of that you can pick up at Office Depot or Wal-Mart that cost $15 bucks. If you have a morning full of breakout sessions you have to know you have enough media to capture all of the sessions without losing any of the content. It’s important to back-up the media to an external drive on a laptop, and then back that up to a second drive, because there’s a very real chance that a card may be used again during the day to capture another presentation. Recycling cards is common, that’s why backing up media, and then backing it up again to a 2nd drive is crucial. 4. Audio Backup – It’s pretty common for videographers to receive a house audio feed from the hotel or venue that they are in. This ensures that the audio feed from the podium or the wireless microphone that the speaker is wearing will be sent directly to the camera. In most cases that’s sufficient. But like anything it makes sense to have a backup plan. Maybe there’s a chance that XLR cable that was sent to the camera goes bad, what happens then? We like to have backup wired lavalier at the podium taped to the base of the gooseneck microphone and an XLR cable going back to our camera. We’ll have the house feed from the conference room going into Input 1 on our camera and then we’ll have our backup microphone going into Input 2. That way we’re covered in the event anything pops up. 5. Have The Delivery In Writing! - The conference went great, everyone loved the informative breakouts, but when will they be ready? Make sure your company and the video production company have already agreed in writing to a deadline for when the project will be wrapped up and the files delivered. You want to take advantage of the momentum the conference has brought, so having access to those breakout sessions is pretty important. Your employees will be able to review the information and for some who weren’t able to attend, it will be crucial to have. Any proposal that a production company sends to you should have the deadline stated in the agreement for both parties to sign off on. Capturing an event or speaker live has its challenges. But preparation always wins out in the end.